Everyday we stimulate our chakra centers in one way or another, for example, through the different thoughts we have or physically through our senses. 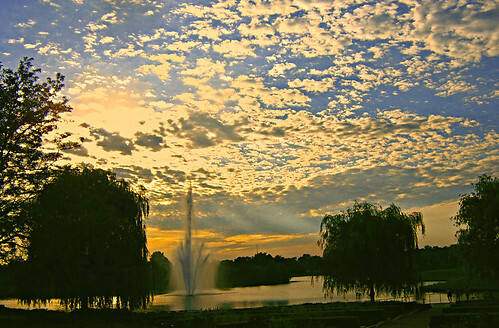 Daily we energize our centers, consciously or unconsciously, through various methods. 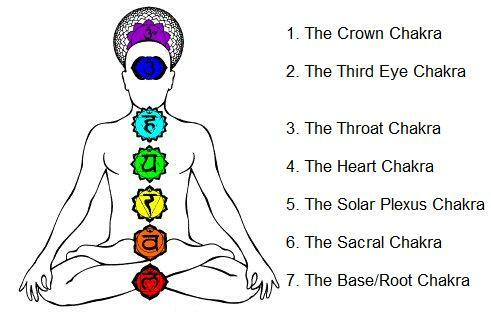 Below is one basic interpretation of the Chakras. But rather, truly live what you dream. According to psychologists, only 5% of our life is controlled by our conscious mind, and 95% of the time controlled by the subconscious. What this means is that as humans, most of us haven’t even began the mission of living. I don’t know about you, but to me that is an astonishingly disheartening thought! But fret not my friends; there is certainly hope! It starts with a process of deprogramming. That tiny 5% of our awareness that’s being used is powerful indeed. Little by little, we can begin to take ownership of our minds and reclaim, percent by percent, what we are most often unaware if. A great place to start is with a dream. Ever get the feeling that you had a dream, but you can’t remember any of it? Or worse yet, you remember a dream when you first awake, but later on in the day you have completely forgotten? If you simply write down your dream somewhere as it comes to you, something extraordinary will reveal itself. Our dreams say a lot about the state of our spirit. 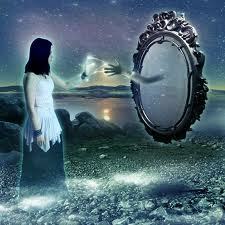 Each dream offers a clue as to what’s in our subconscious. It does not mean, however, that what you dream will manifest itself, but rather that dream could be trying to show you what you are afraid of, capable of, anxious about, procrastinating for, or what you should be doing. It gives insight into relationships and emotions. But how will you get the message if you don’t take the time to reflect on it? Write it down! Think before you speak. I must admit I would become annoyed when I heard this phrase because it was usually coming from my mother when I said something she thought was ignorant! Most of the time she was right… Too often we are busy saying what comes to us without even considering what it means to other people, and even to ourselves. Or, we are thinking of what our comeback will be to a person with whom we are conversing, which means we are not even truly listening to what they are saying. If we take the time to think each time we wish to say something, there will be less to apologize for in the end. Additionally, our thoughts will be meaningful and perhaps even received better (not that receipt is a pre-requisite). The biggest takeaway here is we are capable of governing, assessing, filtering, and mindfully creating (as opposed to simply repeating/regurgitating what others have said at some point) original thoughts. Face your fears. If you bring forth what is within you, what you bring forth will save you. If you do not bring forth what is within, what you do not bring forth will destroy you (The Gnostic Christ, Dead Sea Scrolls). Most of us are guilty of keeping our skeletons hidden, for if we do not see them, they are not there. Except, they really are there, and they are preventing us from being useful to ourselves and to other people. When you become afraid, really take a look at the reason. What is it that is causing that fear? What experiences or people have shaped that perception? And how can you release yourself from it? We are only bound to our fears if we do recognize that we possess the key. Life is full of uncertainties, but it is also full of beauty. Suffering does not underline our position on Earth. When we realize this, we then allow ourselves to move about the Universe freely, for we are guided by love and not fear. Fear makes us do ugly things like kill, steal, and destroy. Fear is the reason for oppression, discrimination, and hate. The current state of our planet is because we have allowed fear to rule us, which is why it is more important than ever to face your fear! So, my friends, the time has come for you to live your dreams. But not in a fantasy way that usually ends with “happily ever after”. But rather, in a way that will guarantee you, and every other organism on this planet (and potentially the Universe) has the opportunity to experience the true meaning of LIFE.